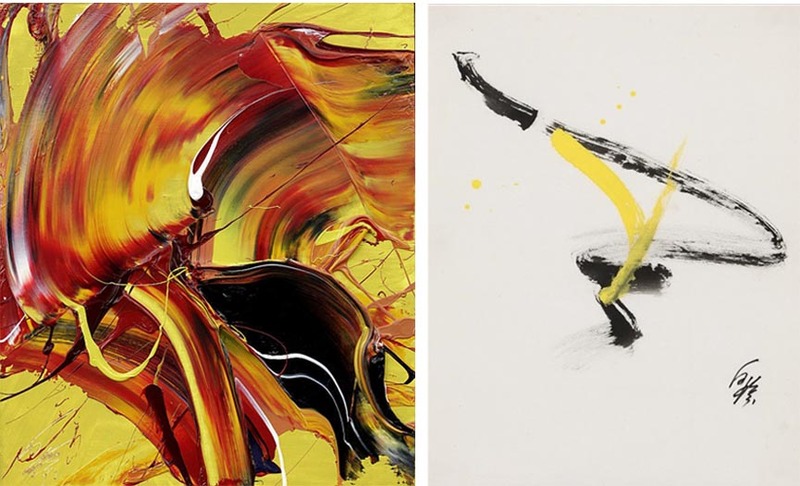 One of the most important figures in Japanese, but also art in general, was Kazuo Shiraga, who introduced a revolutionary way of painting and whose work and legacy influenced several artists and art movements. A selection of 20 works from nearly fifty years, starting in 1959, will be on display, concurrently with the Body and Matter exhibition held by Dominique Lévy gallery in New York. 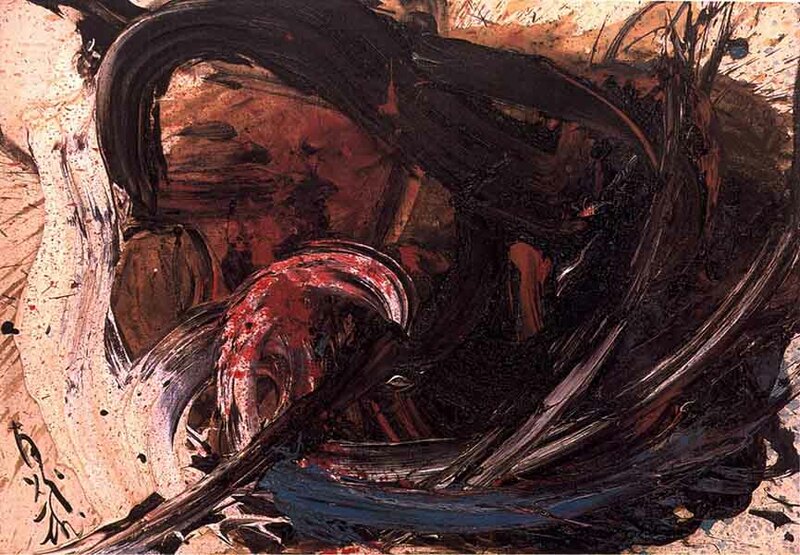 Kazuo Shiraga was born in 1924 in Amagasaki. Even though he studied traditional Japanese painting, he was everything but traditional. In 1952, he co-founded the Zero Group, a group of four artists who made their art “from scratch”. It was shortly after he decided to throw away the brush and start painting with – his feet. This fresh and direct way of expressions immediately drew attention of the Gutai group, which he joined in 1955. 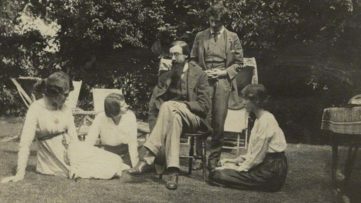 This art association was based on originality and innovation, and was involved in large-scale multimedia environments, performances and theatrical events. That same year, it was clear that the influence of his newfound home was more than productive. The sensational performance titled Challenging Mud received immense appraisal and gave way to Shiraga’s international success. The action, which lasted for hours, consisted of the artist hurling himself into a giant pile of clay on a stage and wrestling it into sculptural shapes to the point of exhaustion. 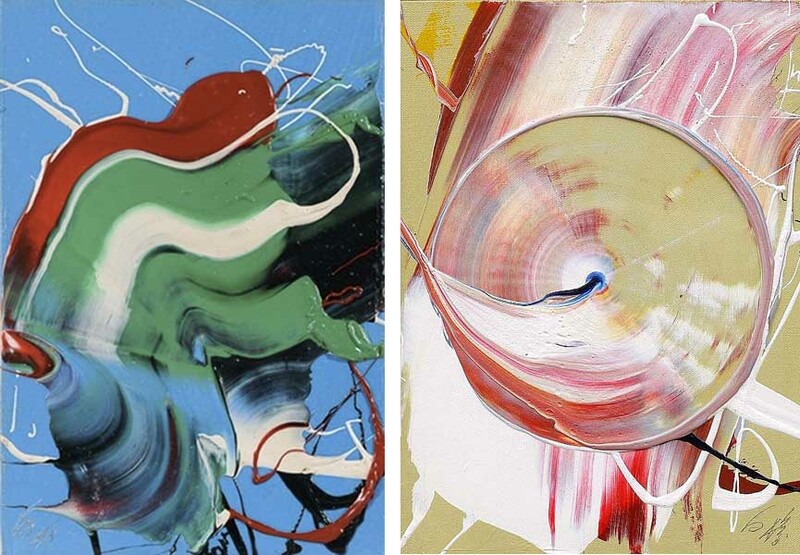 Shortly after, the Gutai fell apart, but Shiraga’s art continued to grow and evolve. In contribution, the interest among European and American art world for the Eastern art in the late 1950s, especially Japanese, helped led Shiraga to a warm welcome in the States. The Martha Jackson Gallery in New York held one of the last Gutai Art Exhibitions, taking it over from Tokyo and Osaka. 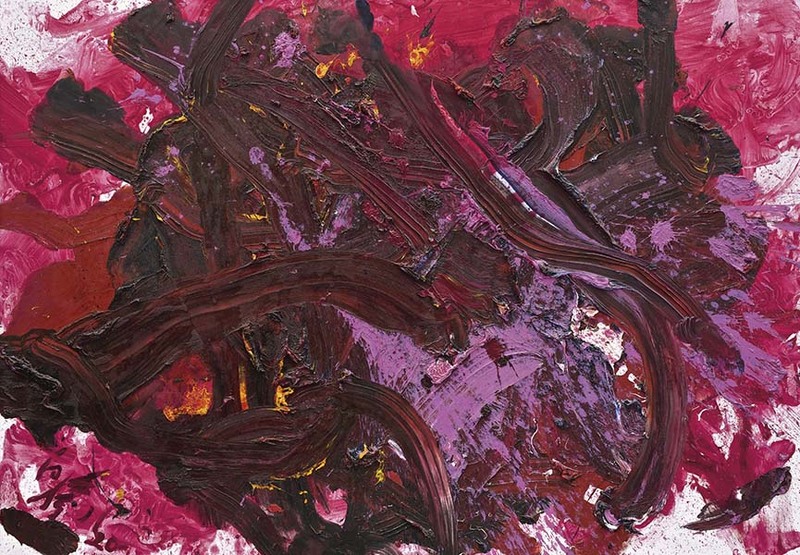 The art of Kazuo Shiraga represents a pure event witnessing the relationship between man and matter. His way of creating was based on body movements, which he executed often while hanging from a ceiling by a rope. 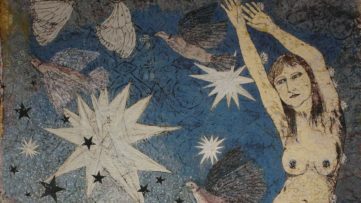 With paper or canvas being laid on the floor, he would deposit an abundant amount of paint onto it and strike it with his bare feet, creating colorful pieces so rich in detail and texture. His process was inspired by the action painting of Jackson Pollock, but have further inspired Yves Klein, while his performances preceded those of Allan Kaprow, the pioneer of performance art. The Gutai artists are also considered predecessors to Happenings and Conceptual art, and have also created works that would now be called installations, inspiring the work of non-Japanese artists such as Nam June Paik and Conrad Bo, and leading to the later Fluxus network. 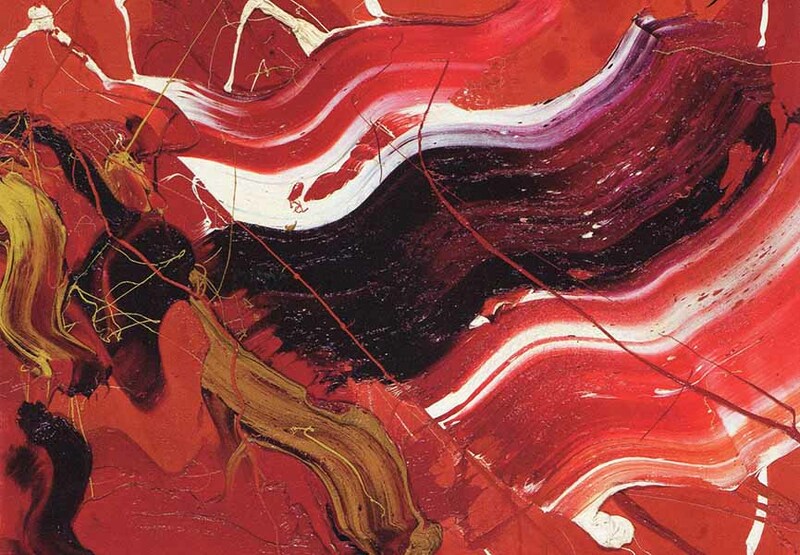 Kazuo Shiraga died in Japan in 2008. 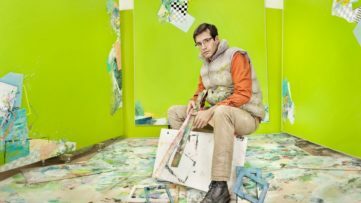 The exhibition dedicated to his paintings will be held at the Mnuchin Gallery in New York from February 10 until April 11th, 2015. Get the latest on all art by signing up for My Widewalls today!